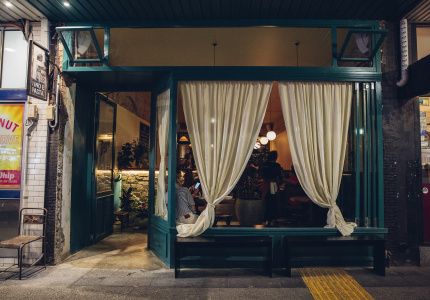 Molo owner Riccardo Bernabei is letting the availability of exceptional produce totally guide the menu. For example, once the small amount of white asparagus flown in from Venice is gone, the salad will disappear from the menu. 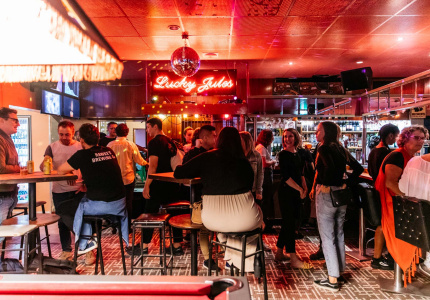 It might not be the most economical way to run a venue, but the unpredictably makes eating at the pop-up space in Manta at Woolloomooloo Wharf exciting. Executive chef Daniel Hughes’ menu is equal parts unpredictable and simple. Most dishes have no more than four ingredients. It’s a cooking style inspired by the cucina povera (“poor kitchen”) of post-war southern Italy, when those living in impoverished areas made do without much meat or dairy. The simplicity allows the few ingredients on each plate to shine. 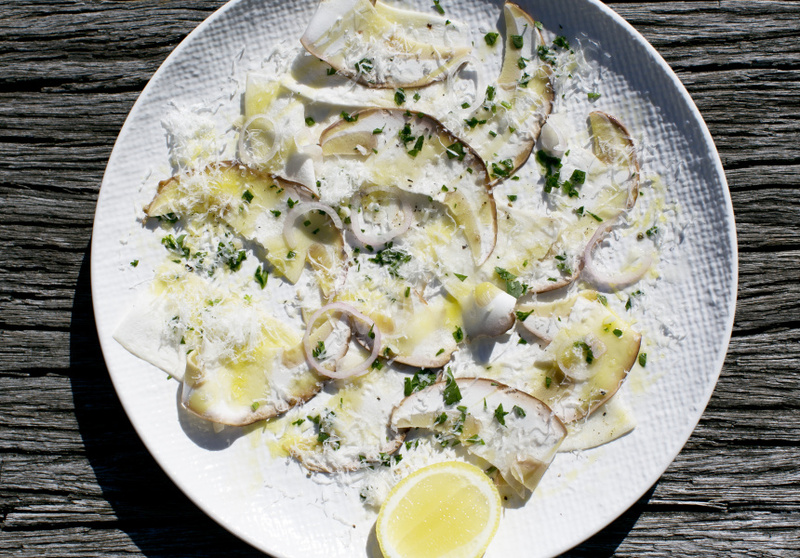 The white asparagus is thinly shaved, dressed in olive oil, lemon juice and parmesan. Traditional chimi di rapa (a slightly bitter leafy green) is sautéed with kipfler potatoes, chilli and garlic. 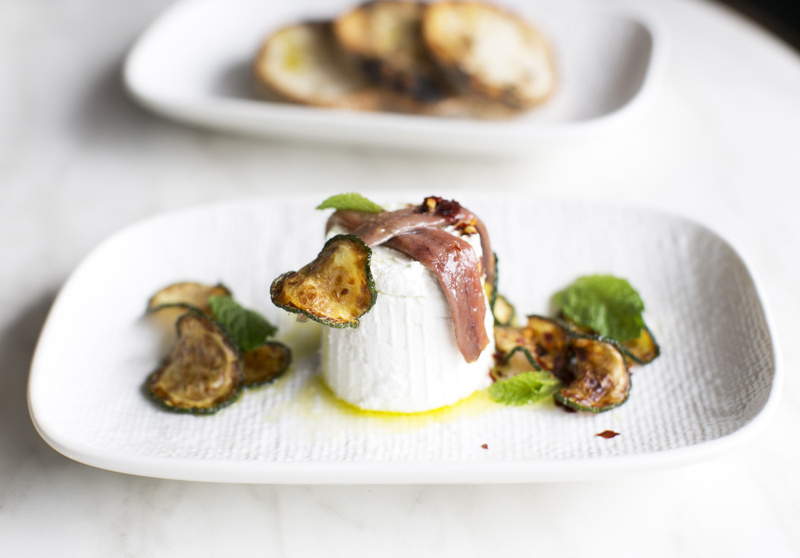 The burrata is topped with a dollop of shining black caviar and drizzled with olive oil and lemonade. Bread from Dust Bakery in the Tramsheds comes on the side. Molo’s offering isn’t all vegetarian. 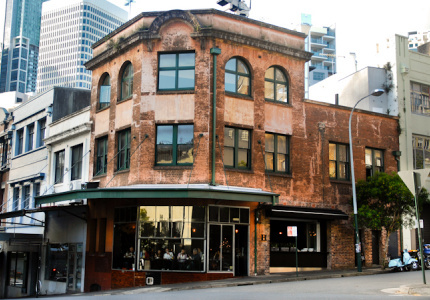 There’s a substantial veal scaloppini, a charcuterie platter and salt-cod bruschetta. The wine list was curated by general manager Mario Mondo, a sommelier whose knowledge of Italian wines is encyclopaedic. It’s not surprising to see an Aperol Spritz or a Negroni on the cocktail list, but the Rosinni, made from Spumante brut and fresh strawberry juice is worth trying. 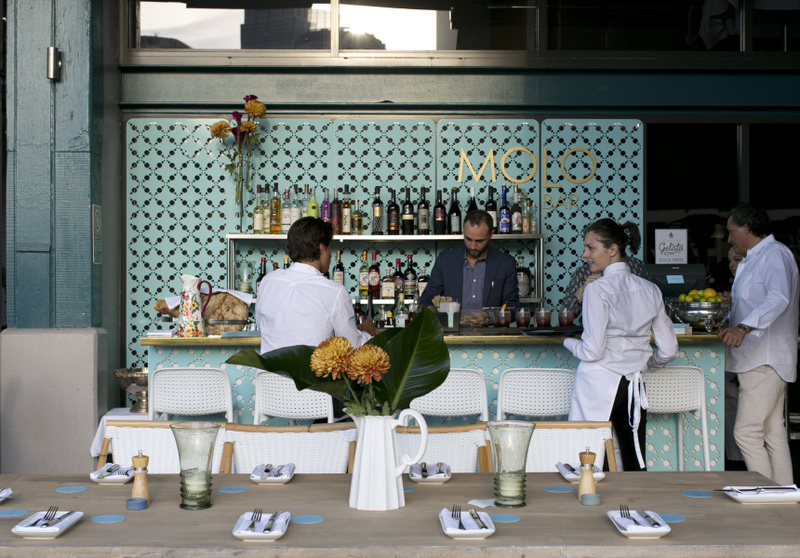 Molo fits in well with established eateries such as Otto and China Doll on Woolloomooloo Wharf. It occupies a space in Manta’s outdoor area, separated by aqua screens that are evocative of the crystal blues of southern Italy’s surrounding seas.